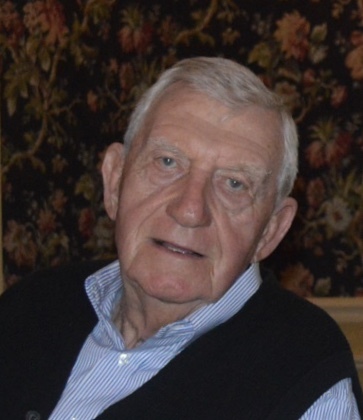 Former longtime East Longmeadow resident Francis V. Murphy, Jr., 85, died peacefully on Monday, January 28, 2019. Born in Springfield, to the late Francis V. and Mary T. (Rogers) Murphy, he was a proud Army Veteran of the Korean War. Frank graduated from American International College and received a teaching fellowship at the University of Massachusetts where he earned a Master’s Degree in Finance and Business Administration. He was employed as a special agent for the US Treasury Department for over 25 years and later became Assistant Chief of the Criminal Investigation Bureau for the State of MA. He was a devout catholic and a faithful communicant of St. Michael’s Church in East Longmeadow. He was also a member of the John Boyle O’Reilly Club, Springfield Lodge of Elks #61 and the American Legion of East Longmeadow. Above all, Frank enjoyed his family. He loved spending time with his grandchildren and attending their sporting events. He will be sadly missed by his beloved wife of 54 years Diane (Fleury) Murphy, their children: MaryBeth Sampson and her husband Keith of Boxford and Michael Murphy and his wife Cara of Medway, his brother Richard Murphy of Wilbraham and his four cherished grandchildren: Lindsay, Michaela and Eliza Sampson and Jack Murphy. Visitation will be held on Tuesday, February 5th from 4 – 7 PM at Wilbraham Funeral Home, 2551 Boston Rd., Wilbraham. Family and friends may meet for Frank’s Funeral Mass on Wednesday at 11:30 AM at St. Michael’s Church, 128 Maple St., East Longmeadow. Burial with Military Honors will follow at 1 PM at MA Veterans’ Memorial Cemetery, Agawam. In lieu of flowers, memorial contributions may be made to Springfield Rescue Mission, PO Box 9045, Springfield, MA 01102-9045 or St. Jude Children’s Research Hospital, 501 St. Jude Place, Memphis, TN 38105-9959.